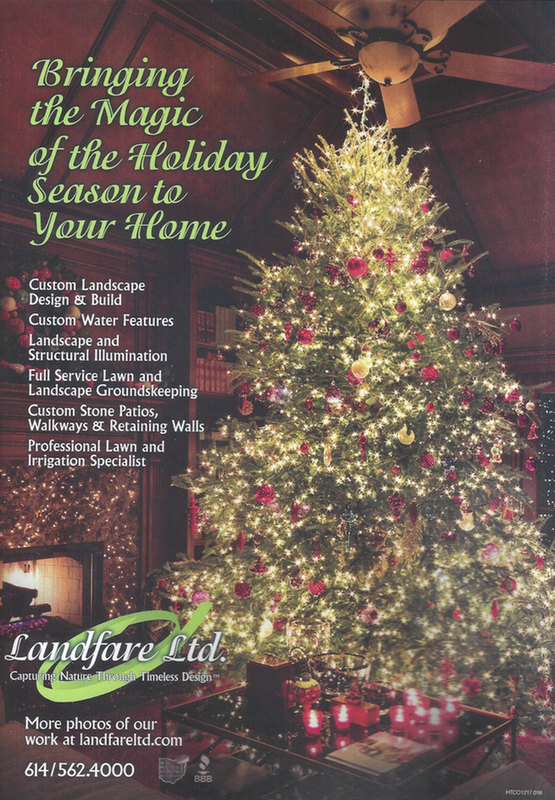 Our December Housetrends Magazine ad features a gorgeous Christmas tree in an equally lovely home. Creating a tree that glows takes hundreds of LED lights and great patience. Our Landfare Ltd. crew bring both to every project! 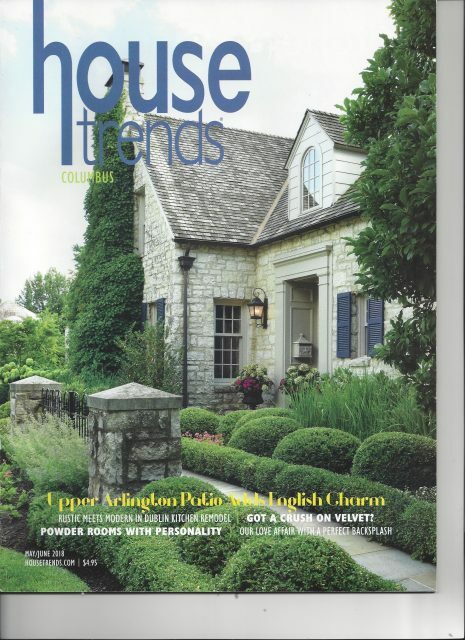 We loved this cover of Housetrends Magazine when published in 2015, and it still holds true. A beautiful home in Upper Arlington, Ohio, wonderful homeowners and a full outdoor living design and install by Landfare Ltd.
After moving into their home a Westerville, OH couple realized that their backyard did not function for them. They love to throw large parties but the spaces weren’t setup properly. Plus the area that was established was in direct sunlight and was dominated by a stamped concrete side patio and uninspired deck. 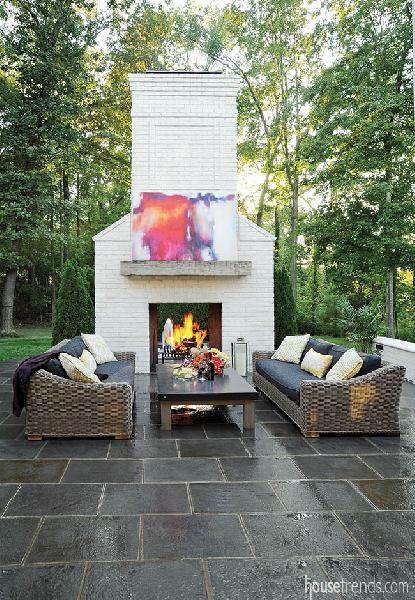 After reviewing the work of several landscape design firms they knew that John Spayde and Landfare Ltd. could create the multi-level, entertaining oasis they wanted. The design integrates seamlessly with the home, creating the perfect blend for entertaining. 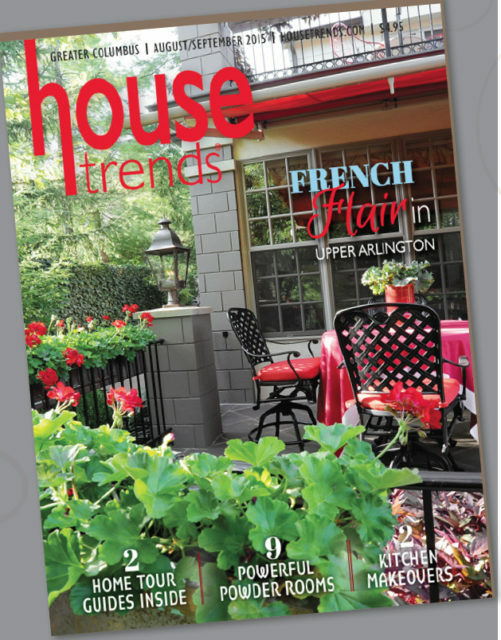 See the results in this Housetrends Magazine article featuring this home. John Spayde and Landfare Ltd. worked with a New Albany, OH homeowner to bring her vision to life. 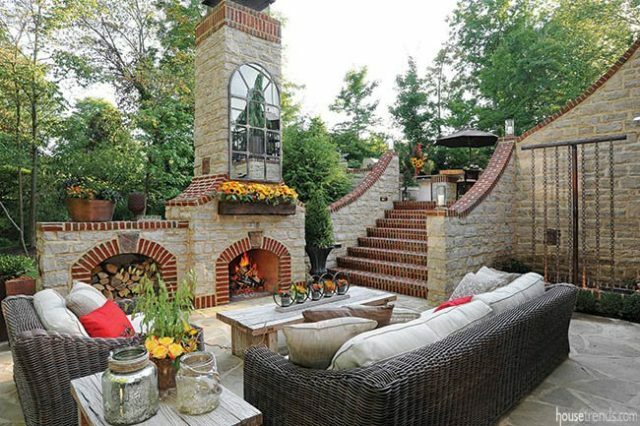 She wanted separate covered and open spaces, fire and water features and entertaining and family spaces that could be used year-round. We designed and built a 1,500 square foot resort-style outdoor living environment that is comfortable for all seasons! Read the Housetrends article to see the results! When visiting Paris these homeowners found inspiration at the Hotel Plaza Athenee and its signature red awnings and geraniums. 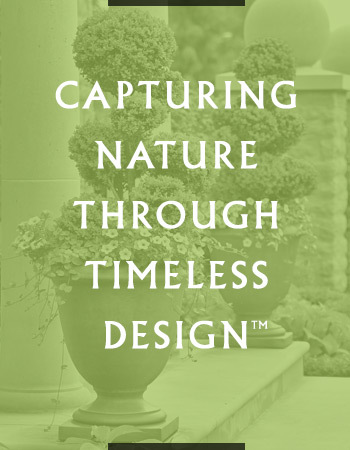 They chose John Spayde and Landfare Ltd to design a French garden for their home, complete with multiple natural stone terraces and entertaining spaces surrounded by formal French-style parterre gardens. Red awnings and upholstery, wrought iron furniture and railings, and custom-made copper planters add to the ambiance. See more photos and read the complete Housetrends Magazine article here. 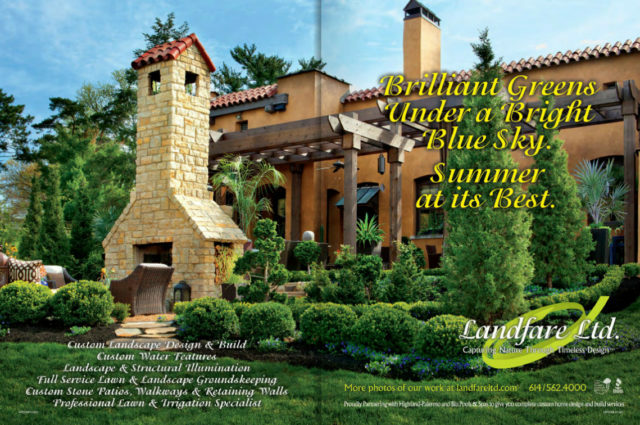 One would never expect to see a hacienda in Grandview Heights, OH but it is there, and Landfare Ltd. was brought in to create outdoor living spaces that matched the Mission/Pueblo architecture of the home. Selecting materials was critical to the project. 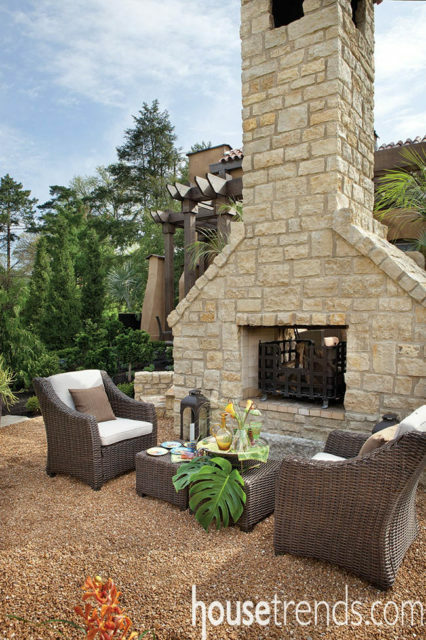 From Choctaw and Morgan Tan flagging for the patio floors and the impressive fireplace to conifers, grasses and flower plantings, all had to work together to create the perfect hacienda ambiance. 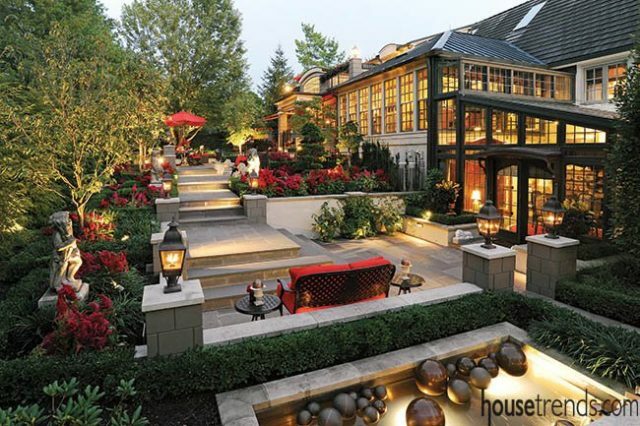 “It’s just where we want to be,” said the homeowner about their breathtaking outdoor living spaces.